So I’ve taken the liberty to sort through all the thousands of “Inexpensive” (as Inexpensive as Microscopes can be), and have chosen the ones that are MORE IDEAL than others. Now, before I go on, it’s important to become familiar with the Parts that make up a Microscope. Good! Now let’s move on! 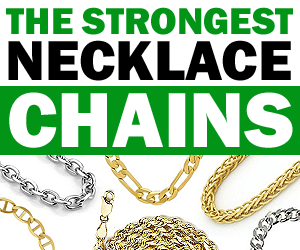 These 5 Features make for the BEST Jewelry Microscopes! 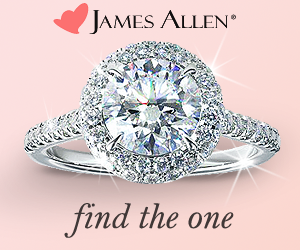 You’re going to be looking at Gems and Diamonds and Ring Prongs Close up. Do that for a while with one Eye Piece (Ocular) and you will feel the Effects. You will Tire easy, your Eyes will Hurt and you won’t be able to Scope for very long. 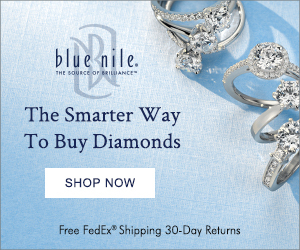 10x Power (ten times) is what Jewelers use to Grade Diamonds with. That VVS1 Rating on that Certified Stone is done under 10x Power and no more! So it’s important that you View them under this Same Magnification as well. Just to see what they see. That’s when things get Really, Really Cool! Plus, Viewing the Tiny Etched in GIA Laser Inscription on the side of the Girdle gets much easier when viewed at Higher Magnification like 30x versus 10x. I usually have to Zoom in to 30x so Customers can read these Very Tiny Numbers and Letters. The more Light Sources that are built into the Machine the Better. More Light, especially Adjustable Light, allows you to Position the Light where you want it and how much of it you need. You can see things that you wouldn’t be able to see with the Right Light at the Right Angle. Most Microscopes have at least one light source, but if you’re lucky and shell out the dough, you’ll be able to get multiple light sources, like the overhead light shown in the detailed diagram above, and in the couple of better scopes below. 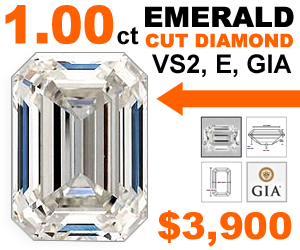 Viewing Gemstones and Diamonds are much, much easier when the Background isn’t Bright, White, Blinding and Distracting. A Dark Background doesn’t add Brightness bouncing back at you. You control how much is shown. You can adjust it to allow just enough to make Certain Flaws stand out against the light. Like there’s a Spot light on them (see below). Darkfield makes the microscopic details stand out more! A Stone Holder (like Tweezers) is vital and important when viewing Rings, Gemstones, Pendants, Earrings and Bracelets (Bulky 3D objects). A Stone Holder is a Wire Tension Grip that’s on a Movable Arm, and is attached to the Microscope Stage (can come on and off as needed). This Holder is great because it holds the Ring in place, over the Darkfield Iris, at exactly the position you want it to be, and allows you to Zoom in on a specific section. Without a Holder, you’ll either have to just Clip the bottom of the Jewelry where ever it is you can clip it at (if you can even clip it), or you’ll just have to hold the item (without moving or breathing) and Focus on the desired spot (this gets really difficult because any Slight Movement or Breath takes the item out of Focus). A Stone Holder is required for any amount of detailed work. When working with Jewelry, you definitely want a Stone Holder (two of them if you’re comparing Diamonds side by side). 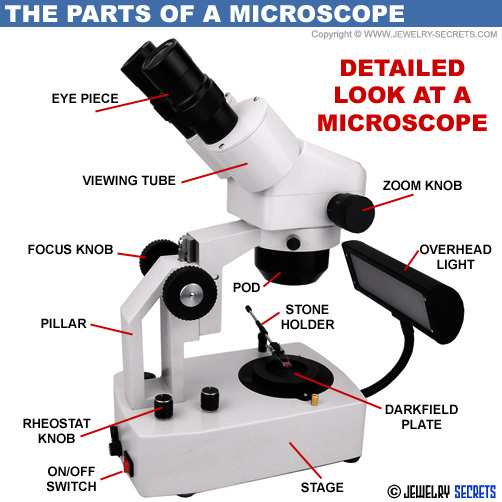 This one feature separates most of the Regular Microscopes from a Jeweler’s Microscope! 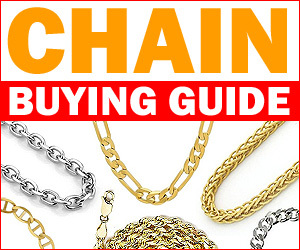 These types of Holders is what Jewelry Stores and Gemologists use, and it’s what I Recommend. It just makes life easier! You can turn the holder all the way around, tilt it in any position and look where ever you want. The great thing about this scope, IT’S CHEAP! 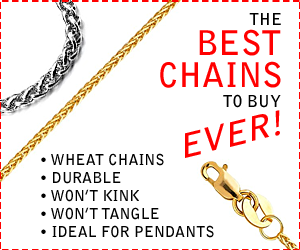 Real Cheap, it just can’t be beat! 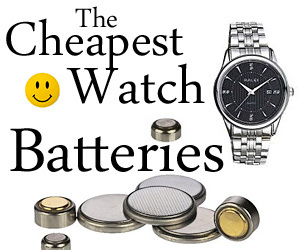 The description of this product says it’s ideal for the Watchmaker, Jeweler, Engraver, Die-Maker, Philatelist, Coin Collector, Students, and more. It also says that it will work with any object like Insects, Plants, Rocks, Stamps, Coins, Jewel, Soldered Points, Microelectronic Components or virtually any Three Dimensional Objects. It will work, but only if you lay the item on the base, or hold the item in place with your hands. Now… I will say, that you can Purchase Additional Accessories like the Darkfield shown below (you can buy Stone Holders as well). 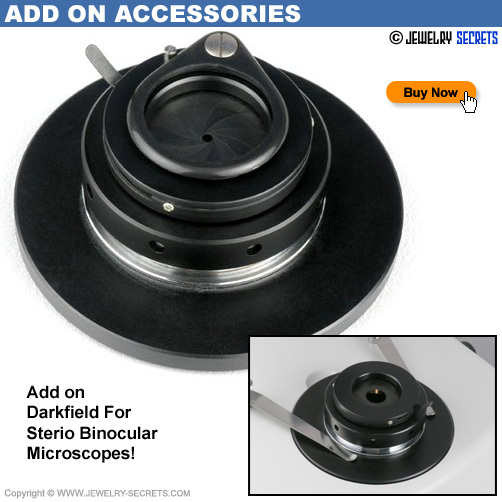 Adding on a Darkfield to a Binocular, Stereo Microscope turns it into the Perfect Jeweler’s Machine. But, it’s still Better and Easier to Buy a Microscope with all the Features Built in (better for the Warranty as well). 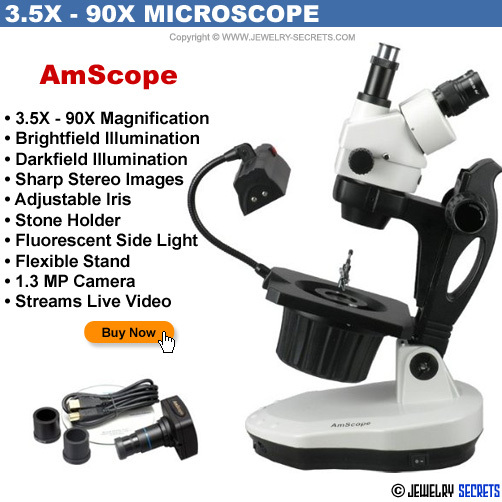 So, here we go, the Most Inexpensive and Best Microscopes for Jewelers, Jewelry Stores and Gem Collectors (with all the 5 features built in)! 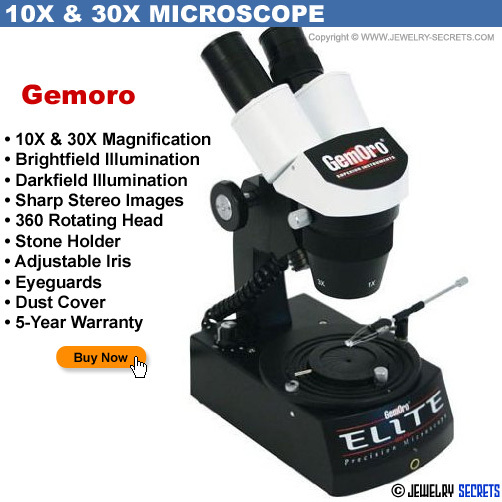 The Most Inexpensive Jeweler’s Microscope that I could find is this Gemoro shown below. The Gemoro Elite Microscope has an Awesome Price Tag of under $300 (check out the Best Buy Options, Prices may Change up or down). To get a Scope that does all this is easy on the Wallet and Heart. This Microscope goes from 10x – 30x Magnification. It has a Stone Holder (Gem Clip), Darkfield, Bright Field Illumination (with an Adjustable Iris) and a 5 year warranty. The Head Rotates 360 Degrees! 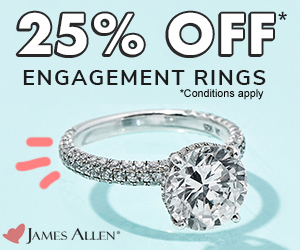 This may not seem like a big deal to you, but it’s wonderful for Jeweler’s and Jewelry Stores. 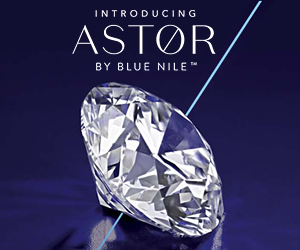 Imagine being at a Diamond Engagement Ring Showcase and the Salesperson is showing you a Certified Stone under the Scope. He’s on one side of the counter, you’re on the other. He clips the stone, sets the zoom and focuses in on the crisp clean center… and all he then has to do is to smoothly rotate the head around so you can see it too. He doesn’t have to pick up the machine, turn the whole thing around just for you to view and knock it out of focus doing so. The 360 head makes a big difference when you’re waiting on customers. Something that most people would never even think of. Do also note that this Microscope does give you the option of adding on an Additional Overhead Light Source. It’s one great scope for one Great Price! This Miniscope with Darkfield has both 10x and 30x Magnification (the only two zooms you ever really need). 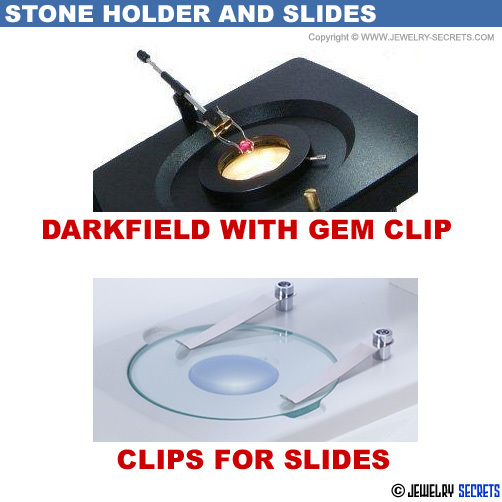 It has Darkfield Illumination (a must), and it has a Stone Holder for clipping and holding Gems, Rings, and anything else you want to inspect. It also has 2 soft rubber eye shields which makes viewing comfortable, and they help block out outside light. This scope is Light Weight, it’s only 8.2 pounds. So it’s the Perfect Microscope to move around, transport from one location to the next, and it’s easy to store. 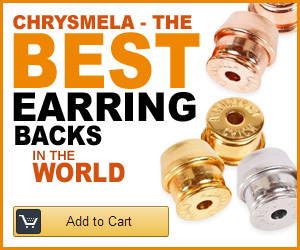 Really, if you want a Cheap Microscope so you can see if your Diamond is Chipped, or to read the Etching Engraved on the side of your Diamond, these Scopes are the BEST and one of the Most Inexpensive Scopes you can Purchase. 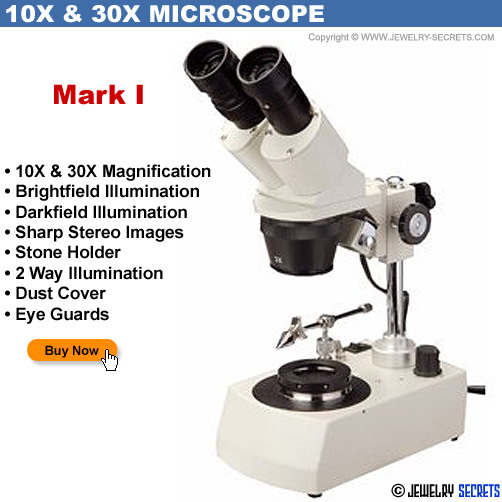 The Mark I Jewelers Microscope! This machine is Efficient and Economic too. 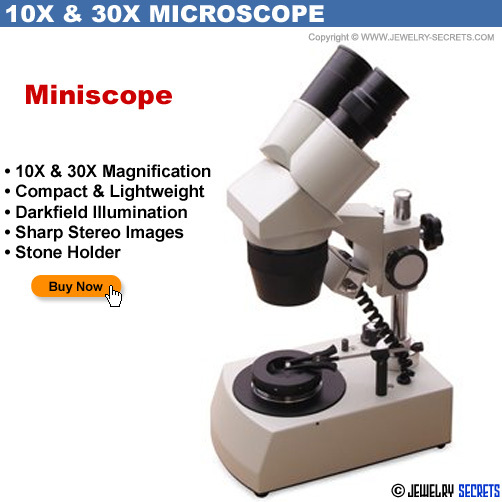 Normally this Microscope retails for $600, but Amazon sells it for much, much less. You really couldn’t ask for more. 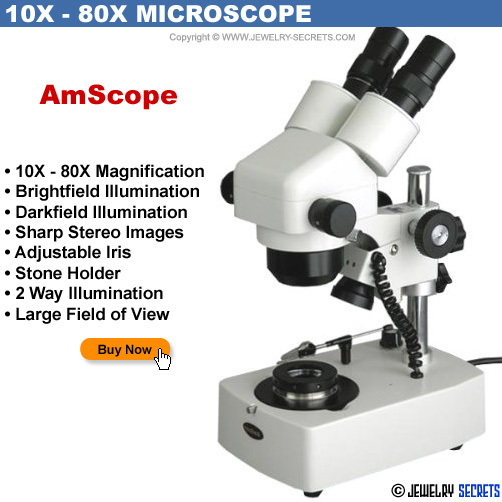 The AmScope 10x-80x Jeweler’s Microscope (looks like they changed this Microscope to a 10x-60x instead) will let you Zoom in and Zoom in even more. It has Magnification that goes up to 80 times the normal view. That’s insane! Imagine what a Bug would look like then? 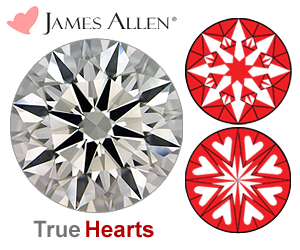 Or a Carbon Spot in a Diamond! Crazy Stuff! The things you can see with that kind of Magnification will Knock your Socks off. Really! The AmScope offers Darkfield Illumination, an Adjustable Iris (also called a Condenser or Diaphragm), a Gem Clip, and two light sources (one on top and one on bottom) that have Separate Dimmers! The Price for a Scope like this is Dirt Cheap. It normally retails for $1600! That’s a Steal! Still want a More Professional Scope? This is my Favorite Microscope of all. Just because of all the built in features and the price. It’s outstanding! 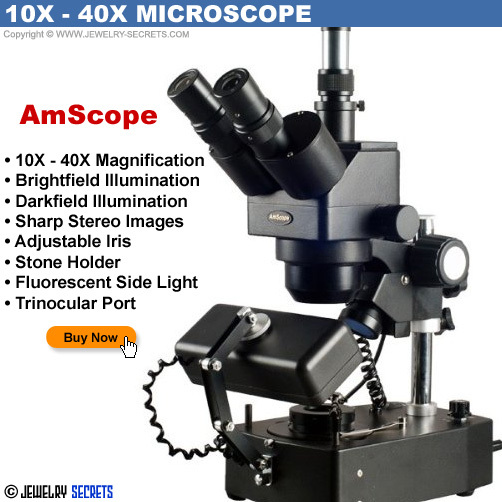 This AmScope 10x-40x Microscope is the BEST Microscope I could find with a Side Fluorescent Light Source (like the ones that Jeweler’s use). And it Zooms from 10x Magnification to 40x. Powerful Stuff! I really do love the look and feel of this Scope. It’s Beautiful! The Retail Price for this Microscope is $2000, but Amazon sells it for way less. This Microscope also has a Third Lens (Trinocular) port at the top that is Perfect for Adding a Camera to, and also having Video Capability. Cool Beans! It has Brightfield and Darkfield Illumination, a Stone Clamp, and a Gooseneck (Adjustable) Side Fluorescent Light that almost NO Inexpensive Microscopes have. Usually these types of scopes are $800 and up! I Highly Recommend this Scope, it’s a cross between an Amateur Scope and a High End Professional Scope. 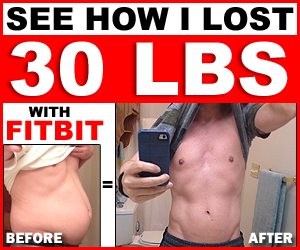 It works great and looks great! 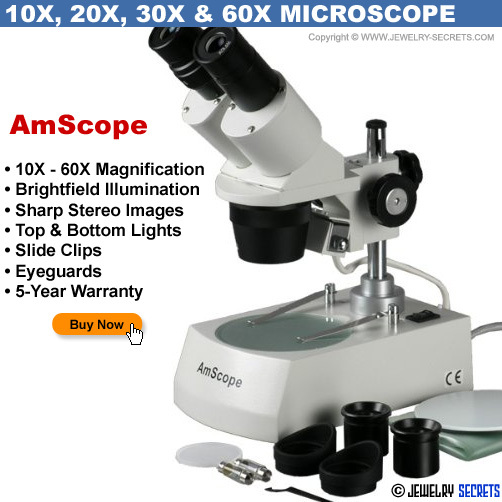 This Stunning AmScope Professional Microscope has a HUGE Magnification Range that goes from 3.5x all the way up to 90x. WOW! It has both Brightfield and Darkfield Illumination, plus, a Side Light Source that’s Adjustable to really make Ideal Photographs and controlling what you want lit up and how much. This Microscope has a built in 1.3 MP Camera that takes Great Photos of what ever you’re looking at. It not only takes Sharp Images, but it Streams live Video as well (Works with Windows 7, XP, Vista as well as Mac OS 10.6 & up). This Scope is Ideal for Gemologists, Jewelers, or anyone who wants a top of the line Scope without a top of the line Price. Check out the Deal: The Retail Price of this Magnificent Scope is $6700! OUCH! 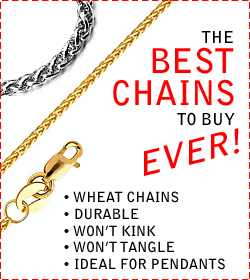 But you can get one here today for a Fraction of that Price! Not too bad for all the built in features of this Professional Scope. 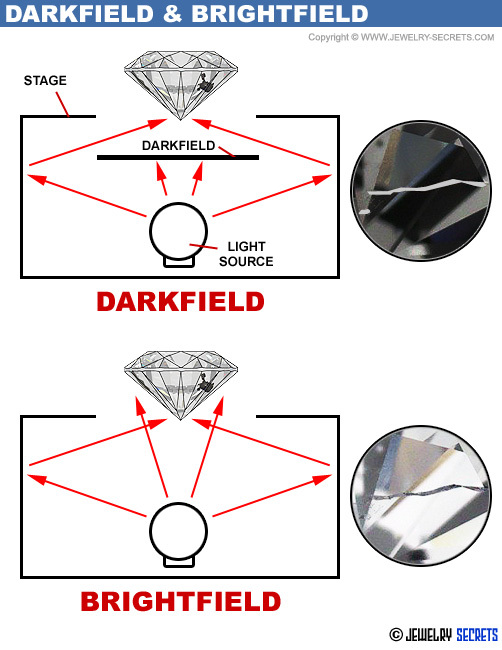 The Side Light Mimics Daylight, which is much needed to Effectively Grade Diamonds. The pillar is adjustable so you can Tilt the Scope back for more Comfortable Viewing. It comes with User-Friendly Software, and you can even Edit Images just like you would with Photoshop. I say to you, what are you waiting for? This is the Ultimate Scope to get, and just thinking about taking Pictures or Video of Stones makes me DROOL! This is a Gadget you can’t live without. This iPhone 5 Microscope fits in your Pocket and works with your iPhone. That’s bragging rights! 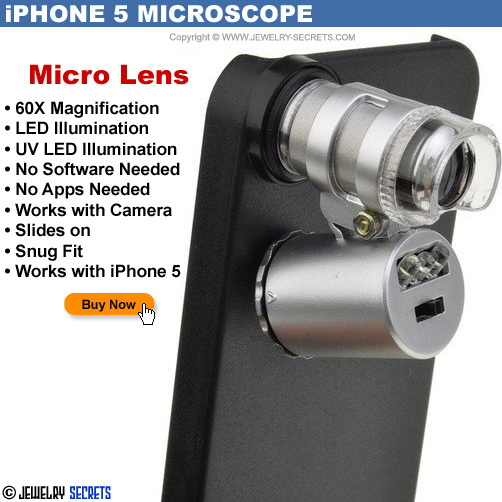 This Cool Microlens Microscope works with the iPhone 5, but you can also get them for the iPhone 4 & 4S as well. These Clever Devices have a Strong Magnification of 60x. That’s Incredible for a device this small. 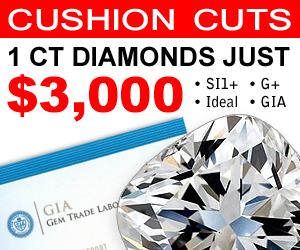 It will become very handy when you want to peek at your Inclusions in your Diamond when you get it back from Repair. And, the greatest thing going for this Micro Lens??? The Price! Check it out! That’s the Coolest Gadget on Earth! This Lens slides over your Phone, right in Front of the Camera Slot (just remove your iPhone Case to do so). It’s no biggie! Just think of the worlds this lens opens up. This lens has a built in LED light to illuminate items like: Jewelry, Stamps, Coins and more. It’s easy to operate, there’s a simple on/off switch for the lights (which runs on 3x LR1130Alkaline Batteries – that are included, lol those alone could cost you Ten Bucks at Krogers!). The Device is Plug and Play. You don’t need to install anything or download any Apps. You just slide it on (snug fit), zoom in, and take a picture like normal. You’re gonna LOVE this Microscope. It also makes a Perfect Gift for Father’s Day, Birthdays, Christmas or Any Day! Once you get one, you’ll use it for everything! P.S. Here’s the iPhone 6 Micro Lens Microscope! You’re gonna want to Microscope your Jewelry and anything else in your path. Look out! “That’s the Coolest thing I’ve ever seen!” Will become a familiar phrase.